Dolphin Watch by HONEST ECO - The Key West Original - Since 1986! The first Dolphin Watch and Snorkel trip of Key West is now aboard SQUID the first Electric Boat in Key West! SQUID was designed specifically for giving our guests the best wildlife experience possible, based on our thirty plus years of experience, while having the least possible impact on the environment and our local pod of dolphins. SQUID offers plenty of shade, space for taking in the sun, and is high up off the water for the best views of your surroundings. For our trip, we take four hours, so that you can fully experience our resident wild dolphins as they play, sleep, hunt and mate, all in our tranquil, turquoise waters and still be left with plenty of time for a snorkel at one of our protected snorkel spots. 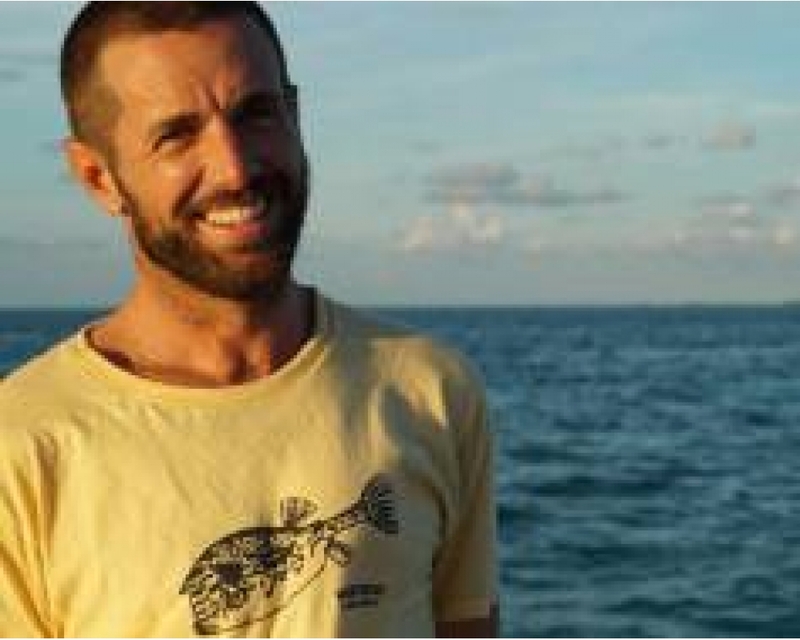 Join us, and you’ll walk away with a Key West Eco Tour experience to remember for a lifetime. While you are looking for the best things to do in Key West, check out our new Key West Kayak and Snorkel Eco Tour! • Small group sizes aboard our Electric Boat! • Includes: Fruit, Water, Snorkeling and Fun! The waters surrounding the lower Florida Keys provide a year round home for about 200 wild Bottlenose Dolphins, and sharing the wonders of these marine mammals with our guests, while always operating our vessel in a manner that is safe and respectful of the dolphins and their need for space, is why we exist. And while our local dolphins have never been fed or trained, with the right know-how they can usually be found in under an hour and in calm waters. Once we find the dolphins, our reason for only running 4 hour trips becomes clear, as it leaves us with enough time for what we consider an honest wild dolphin experience, and because we have plenty of time, not only do we not feel rushed, we often get to observe the display of multiple dolphin behaviors. We offer the Wild Dolphin Guarantee - If you don’t see dolphins, your next trip is free. Throughout your trip, your captain will provide insight on the behaviors of our local dolphins and wildlife. You will have access to a source of information and familiarity that can’t be found in a textbook; but we have a grasp on that body of knowledge too! We love sharing, whether it’s simply about the personality of a resident dolphin or making an interesting and complex cetacean sonar system easy to understand for all. After watching and learning about the dolphins, we’ll bring you to the best snorkel spot for the day’s conditions. Our experience has taught us to look for a calm, clear and protected snorkeling spot- where we’ll provide you with high quality gear and the needed knowledge to use it successfully, regardless of your skill level. So feel confident to hop in and see what else roams the waters just off of Key West. From small schools of tropical fish, stingrays, sea turtles, and the origins of animal life… the sponges, you’re sure to find something new and beautiful beneath the surface. • Plenty of Time to explore! With a great location at the Historic Seaport in Old Town Key West, our guests can arrive at SQUID‘s departure location by walking, biking, driving or taxi. We recommend renting a bike while visiting as parking in old town can be tough, but if you are getting around by car, there is a convenient and close-by pay parking lot on Caroline Street (across the road from Pepe’s). SQUID‘s slip is located on the seawall in front of the public restrooms, in between the Turtle Kraals restaurant and the Brewery. The address for the Historic Seaport is 231 Margaret. Introducing SQUID! 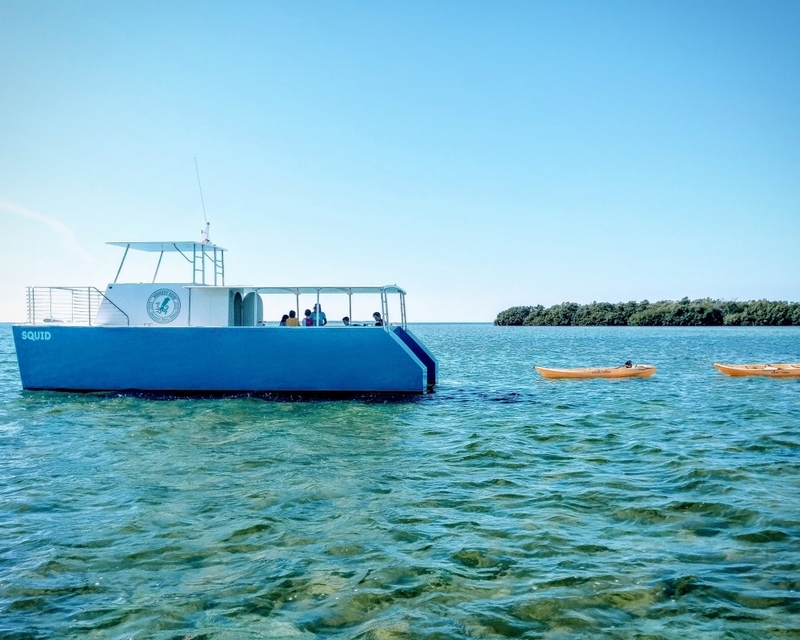 Key West’s first Electric Powered charter boat and one of the first near coastal hybrid catamarans to make it through the challenging United States Coast Guard certification process. We worked with David Walworth, an MIT educated Naval Architect and Principal Engineer known for his high efficiency catamaran designs to help design and engineer the perfect boat for our trips. We then packed up the family, moved west and spent the next year and a half of our lives building SQUID, from scratch! We went in July and we ADORED the Dolphin Watch experience. Stephanie was kind and professional, the boat is comfy and equipped with all the necessities. They also gave us a fresh fruit snack. You see the dolphins in the wild, that is the best way to see them (not in an aquarium or an aquatic park). Then we went to snorkel in a beautiful place nearby, maybe not so amazing like the John Pennecamp park but beautiful. They know the right spots where to go, not in crowded places like other bigger companies. After the first experience we decide to have another one and so we did the last day of our holidays. It was perfect like the first one, the crew so gentle and professional, and the boat was all for us. I can’t help but recommend it strongly, if you want a private, calm and beautiful excursion. Steph, ciao from the italian couple! Captain Rob brought us to an amazing spot filled with a total of 15 dolphins. He shared his knowledge of dolphins with us, answering and questions we had. We then had the opportunity to snorkel at the sponge gardens. He came in the water with us and pointed out numerous creatures. Crabs, lobster, sting rays, tons of different species of fish and of course giant sponges bigger than truck tires.